This week marks 6 years since I first discovered I was pregnant (maybe even to the day) and the week I had my abortion. Thoughts of my first child are close. I randomly remembered something about that time in my life. 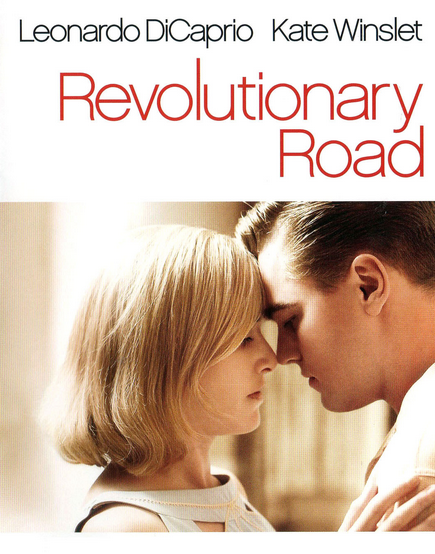 In late December 2008, a movie was released called Revolutionary Road, with Kate Winslet and Leonardo DiCaprio. Anyways, I clearly remember going to see the movie in theaters with one of my good friends at the time. It would have been within weeks, probably days, of when I got pregnant myself. And within a few weeks of when I found out and decided upon having an abortion. The reason I find this odd is because in the movie, the woman played by Kate Winslet has an abortion. The movie was set in the 1950s, when abortion was illegal, so she performed it on herself, and ended up dying because of it. I remember how they portrayed abortion to be a necessity for women and like, oh look how dangerous it is for women when abortion is illegal. It is truly so sad how this deceitful message has invaded our entire culture, including our entertainment. It is really strange for me to remember going to see that movie and then having an abortion myself only a month or so later. I remember seeing the abortion in the movie, but I don't remember at all what I thought about it. Did it twist my thinking so that when I soon faced my own crisis pregnancy, I was more easily deceived into thinking it was my choice because it was legal? Did I even remember the movie when I was pregnant? I don't know, I just find it so, so sad that the lies are being believed by countless men and women who only discover the truth when it is too late... when their innocent baby has already died at the hands of "legal abortion."